The Spanish pianist Cristina Casale proposes a wonderful journey among beautiful solo piano pieces inspired by flamenco music. Full of beauty and virtuosity, Duende is a delightful concert that embrace the talent of the great composers Falla, Granados and Lecuona and introduces the first book of of Flamenco Concert Etudes by the Spanish composer A. Espinosa. Casale, acclaimed by the audience and specialist critic as an authentic thrilling artist, has received the 2019 AEFE Gold Cross award for her social labour of cultural promotion. and no philosopher has explained. 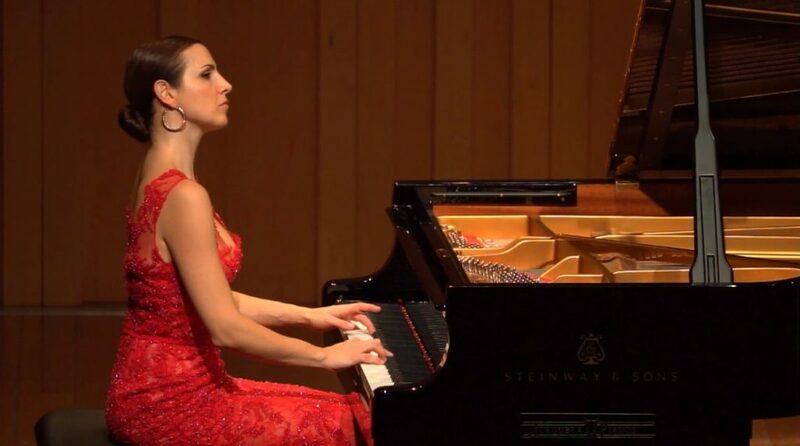 CRISTINA CASALE had her first contact with the piano at the age of four, under the supervision of her mother. Spanish music has always been present in her career. In her early years she received several prizes in Spain and Italy for her Spanish music interpretations and has toured in major cities across Europe, United States and South America. 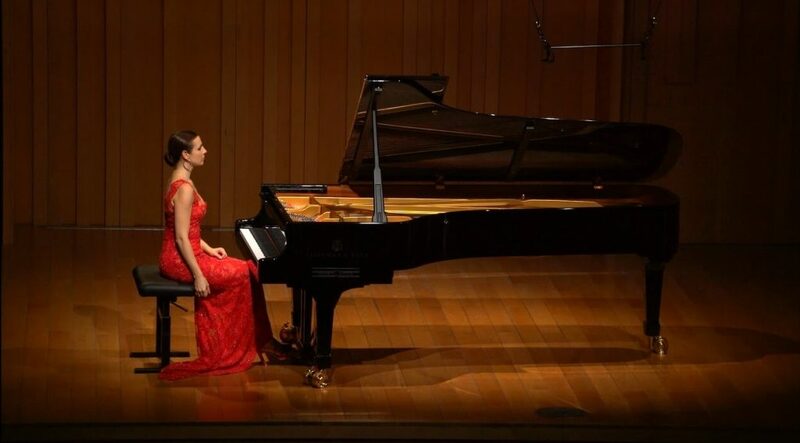 She has studied with Moscow Conservatory professors Ilze Graubin and Irina Zaritzkaja, French Pianist Emmanuel Ferrer and 20th Century Spanish Piano Legend Alicia de Larrocha. During ten years she reduced drastically her concerts to live maternity and dedicate time to her children. On 2014 she returned to stage and made her debut at Carnegie Hall, in New York, within a U.S.A concert tour sponsored by Freixenet. 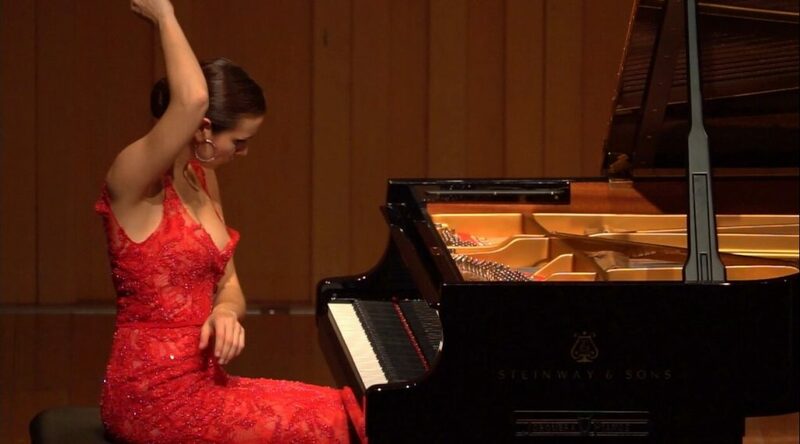 In 2016 she met the composer Abraham Espinosa and became fascinated with a Music History Discovery: the first piano Concert Etudes with Flamenco influences. These pieces, full of beauty and virtuosism, have seduced all kind of public including the specialized critic, which labels these Etudes as the Spanish Music from 21st century, continuing Falla's and Granados' heritage. She’s breathtaking in her playing. full of truth and passion. You can contact by email or using the contact form below. Thanks for your interest. Under General Data Protection Regulation (GDPR) the information you submit via our contact form will only be used to respond to your inquiry and those following you may have with us. On the other hand, be assured that you will not be added to any marketing mailing lists. Our Privacy Notice is available here.